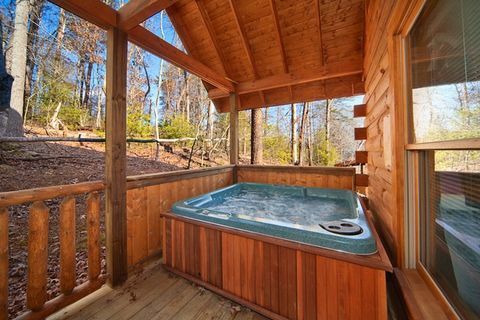 "Cherished Memories," a one-bedroom Pigeon Forge cabin rental in town, offers a convenient location, swimming pool access, comfortable amenities, and more! 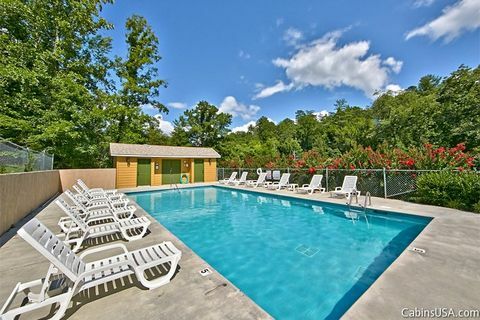 Located in Mountain Park Resort Pigeon Forge, Tennessee, vacationers remain just 5 minutes away from all the fun and adventure along the Parkway, great shopping opportunities, and nearby Dollywood Theme Park! 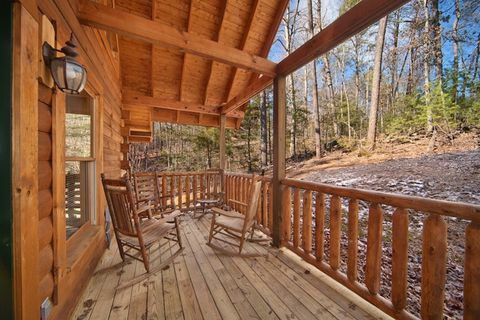 This cabin offers the perfect Tennessee cabin rental for honeymoon couples or small families searching for a cozy cabin lodging close to all the action. 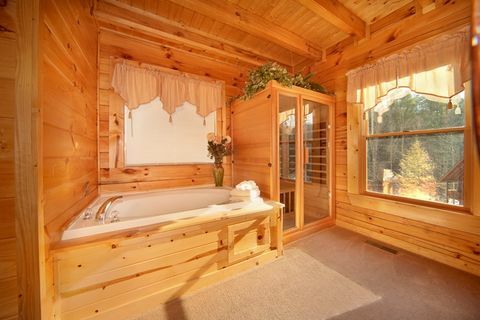 The master suite provides an elegant four-post queen size bed, in-room jacuzzi tub, and opulent in-room sauna. 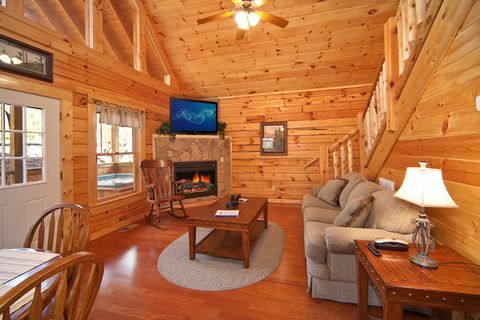 In the cooler months, guests can enjoy the added pleasure of basking next to the electric fireplace's ambient glow while watching television. 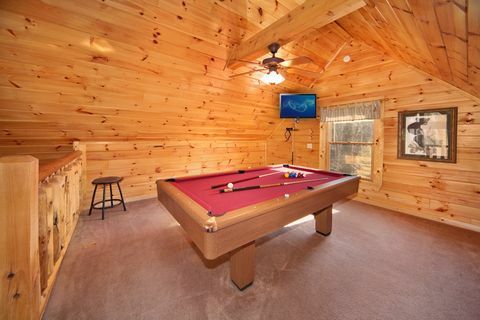 Your cabin's pool table provides for entertainment inside the cabin, while the resort pool and covered year-round hot tub provide exciting outdoors fun. 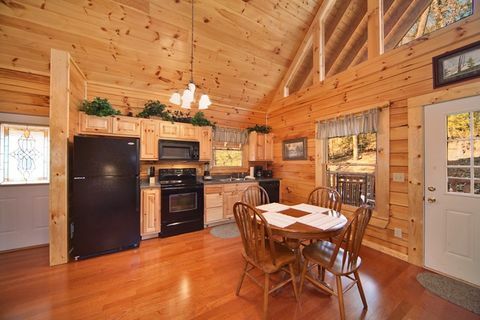 Though this Pigeon Forge cabin rental in town's location places you near a multitude of dining options, guests can save vacation dollars by using the fully equipped kitchen and outdoors gas grill to cook anytime snacks and meals. 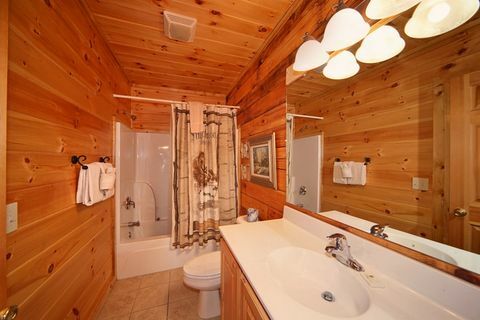 Additionally, save on travel space when you pack light and take advantage of your cabin's washer-dryer. 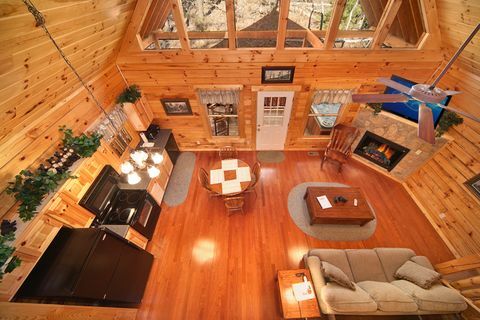 "Cherished Memories" allows small families and couples looking to escape the ordinary everyday lodging experience by providing them with extraordinary cabin accommodations. 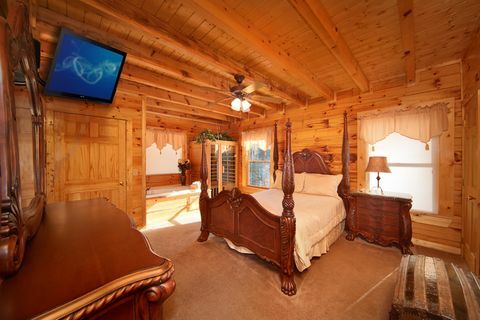 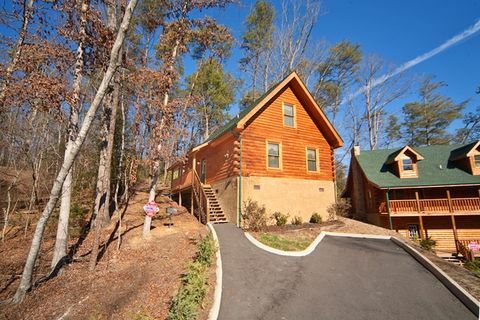 Be sure to book this Pigeon Forge cabin rental in town or any of our other Smoky Mountain cabins online for an immediate Online Cabin Discount!